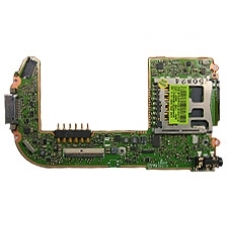 This is a complete replacement HP iPAQ rx1900 series mainboard. If your iPAQ mainboard has processor or memory issues, this is the correct replacement part. Suitable for the whole HP iPAQ rx1900 range. * Processor Samsung S3C2442 300MHz. * 32 MB SDRAM, 64 MB Flash ROM. * 1-bit/4-bit SDIO, SD/MMC Type Memory Standard. * Microsoft Windows Mobile 5.0 for Pocket PC. This service involves the complete replacement of the mainboard for the rx1950 / rx1955 series iPAQ PDA. If your mainboa..